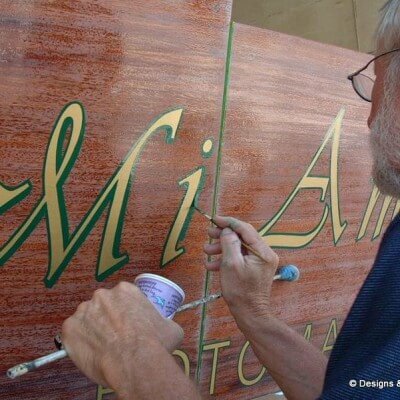 Designs & Signs! 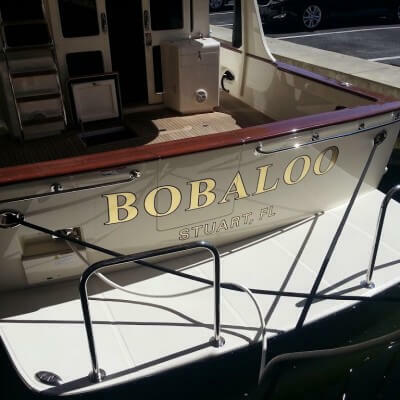 We will designs and install the best boat name for you. 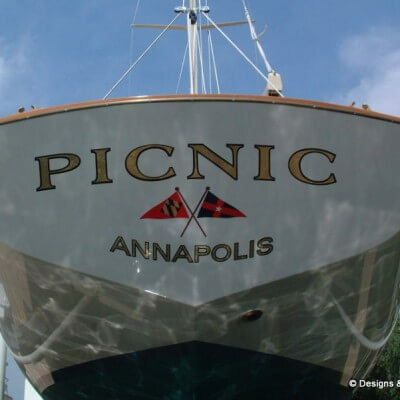 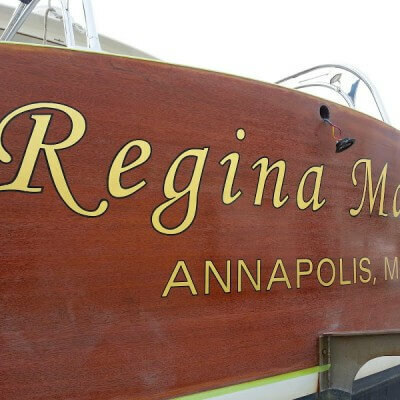 We service marinas in Annapolis and Edgewater. 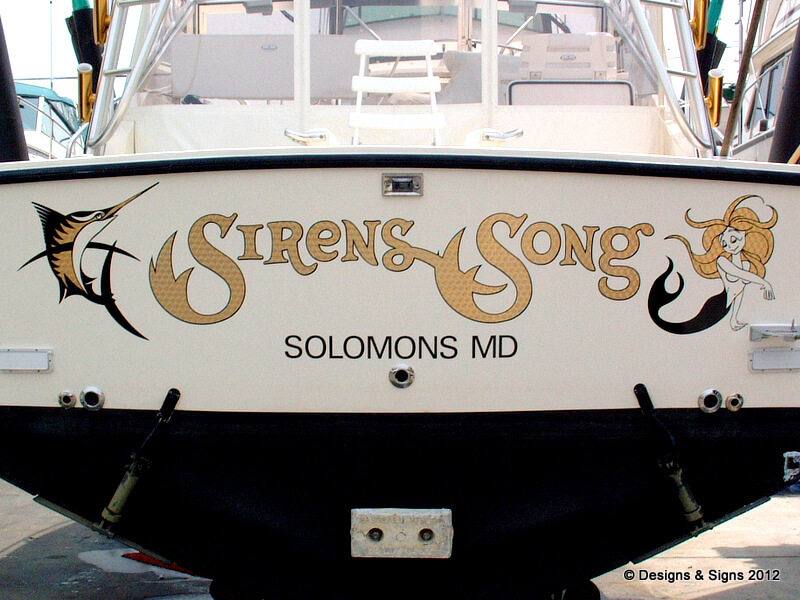 For luxury yachts and larger sport fishing boats we do travel to Washington, DC and Ocean City, MD. 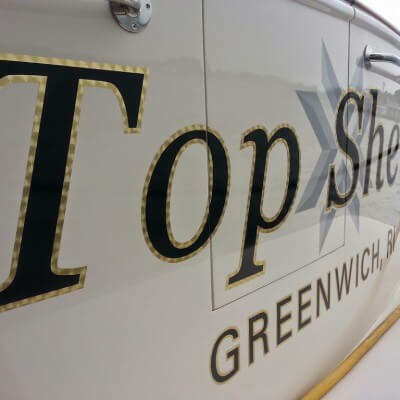 YOUR New BOAT NAME with 23 Karat Gold Leaf! 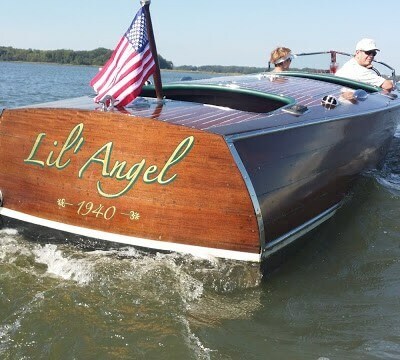 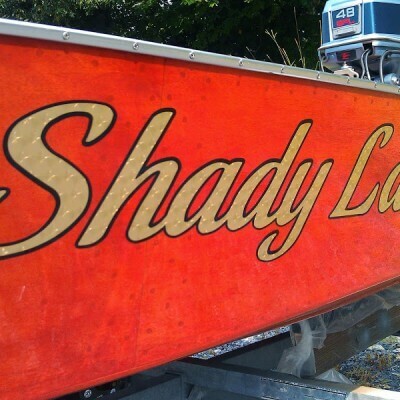 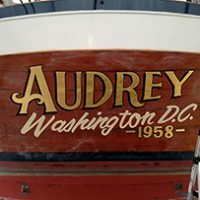 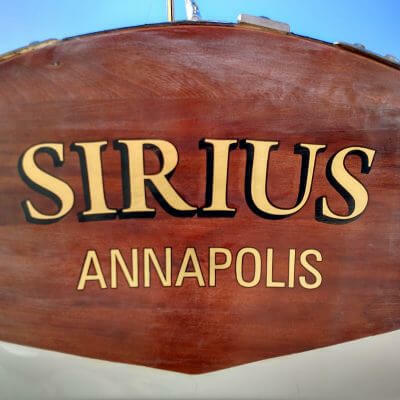 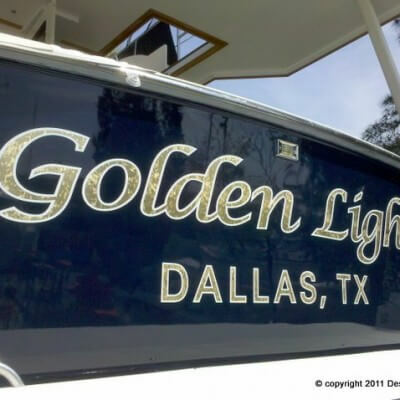 Wow, here’s a gold leaf boat name from the past. 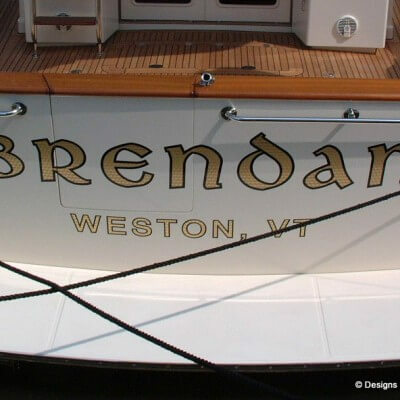 I wouldn’t recommend using two different graphic elements on your transom but I had to and somehow I made it work. 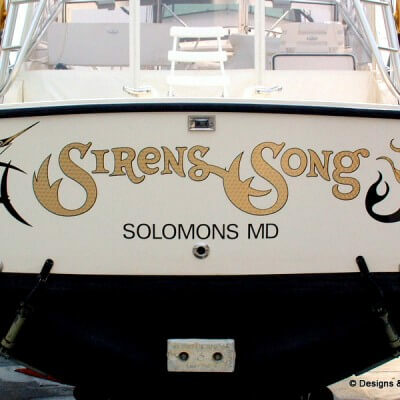 The mermaid and the sailfish actually work well together. 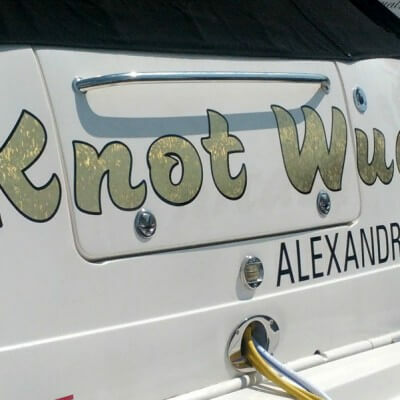 They compliment the name well. 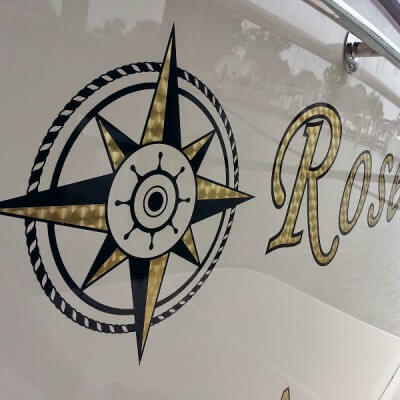 We used 23 karat engine turn gold leaf film with black outline and custom graphics. 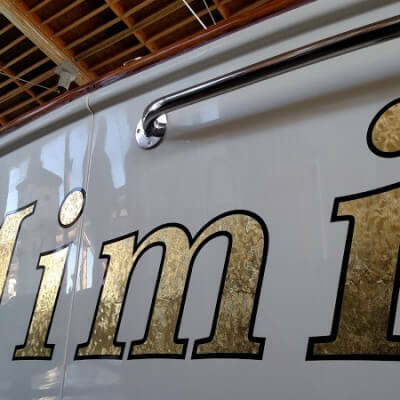 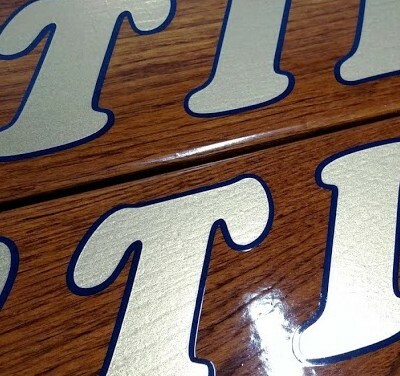 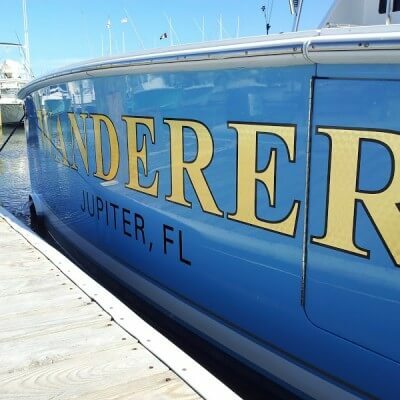 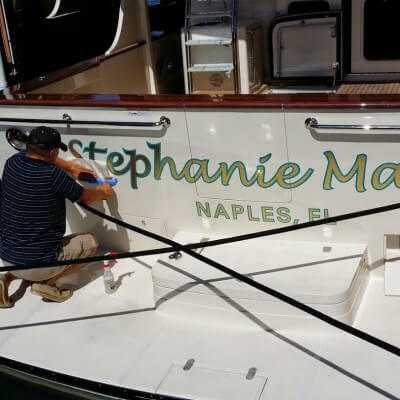 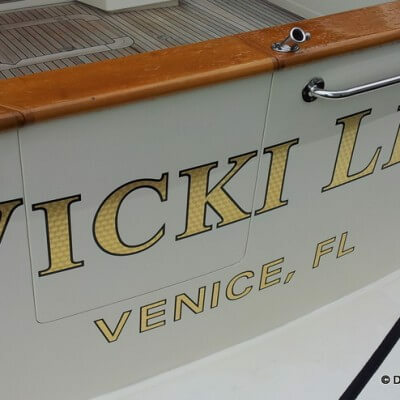 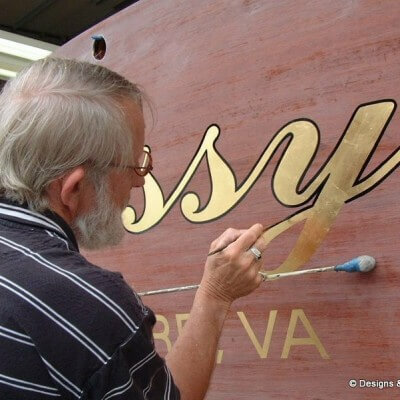 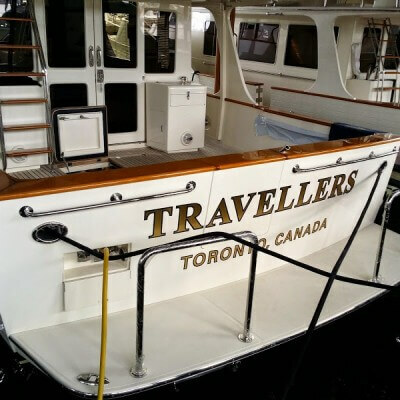 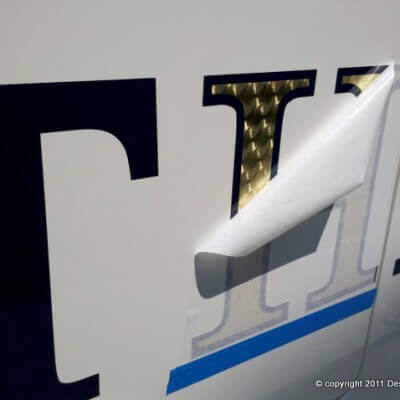 Gold leaf film is the best material available for lettering a fiberglass boat transom.